For potential homebuyers with student loans that are either in a deferred payment status or being paid back through an income based repayment program, the treatment of this liability needs to be considered. USDA Rural Loans theoretically aren't credit score driven. Borrowers with no credit scores are even eligible for the loan. When evaluating a borrower's credit, the USDA Underwriter is able to issue a "credit waiver" on all minor derogatory credit provided the borrower has a minimum 640 middle credit score. Effective April 1, 2013 USDA Loans will continue to offer an ever greater competitive advantage over a comparable FHA Loan. On April 1, 2013 the monthly mortgage insurance premium will increase based on an annual factorial from 125 basis points to 135 basis points. This compares to the USDA Rural Loan program which charges an Annual Fee of 40 basis points. On March 26, 2013 the President signed the "Agriculture, Rural Development, Food and Drug Administration, and Related Agencies Appropriations Act, 2013". This Act delays transition based on the 2010 census data used to determine eligible areas for the USDA Rural Loan until the expiration of the FY 2013 Appropriations Act on September 30, 2013. For Sale By Owner or FSBO transactions are real state sales transactions that don't involve a Real Estate Listing Agent when selling a house. The theoretical benefit of a FSBO transaction is that that the buyer and seller can complete a sales transaction while minimizing the payout of a sales commission to a Realtor, which should allow the seller to more aggressively set the sales price of the house. Determining what type of tests is required when obtaining a USDA Purchase Loan is based on Rural Development Guidelines, appraiser comments, and lender overlays. Lease to own financing is a popular tool for credit challenged homebuyers, which allow a potential homebuyer to occupy a property with the intention of purchasing the house at a predetermined date and purchase price in the future. The assumption of lease to own financing is that the potential homeowner can fix their credit challenges, which initially precluded them from purchasing their house, while they occupy the property. The USDA Rural Loan is designed to assist moderate income households, in rural communities, purchase a house. The USDA Loan assumes a very conservative perspective on financing homeowners who already own a home, unless the borrower can prove that the current home is not adequate or suitable for the borrower's needs. The USDA Rural Loan program requires a minimum of three years from the date of a bankruptcy, foreclosure, or shorts sale prior to the borrower being eligible for a USDA Loan. For both a Chapter 7 and 13 bankruptcies the borrower must allow three years from the discharge date prior to submitting a new loan request. If the bankruptcy included a property, whether a primary residence or investment property, the soonest a new loan can be obtained is based on guidelines that address short sales and foreclosures. USDA Loans require that the borrower's income meet both Income Eligibility and Income Qualifying requirements. Income Eligibility is the income used to determine whether the household income exceeds the allowable limit, specific to the particular county and state in which the property is located and the size of the household. 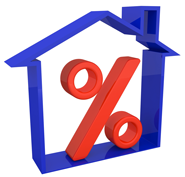 Income Qualifying is the income used to determine whether the income is large enough to support the loan request. Often USDA Rural Loan applicants will not qualify for a USDA Loan for various reasons including income that exceeds USDA guidelines, property not being located in an eligible area, owning another home, excessive debt-to-income ratios, condition of the house, etc. When purchasing a house a homebuyer must pay for an appraisal report upfront using their own funds. There are various scenarios in which a homebuyer can get the cost of their appraisal report returned to them at settlement. One of the most frequent questions that come up when discussing the USDA Loan program is the 3.50% fee that appears on the good faith estimate. USDA Loan are a "budget neutral" loan program offered through the U.S. Department of Agriculture. One of the little known facts of the USDA Loan program is that, under certain circumstances, the closing costs can be included in the final loan amount. 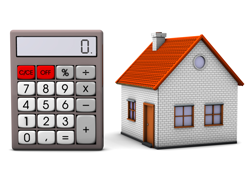 This option is available when the appraised value exceeds the purchase price, then this variance can be used to cover the closing related costs of the loan. No other loan program on the market allows for this optional increase. For years properties that included an in-ground swimming pool were deemed ineligible for a USDA Rural Development Loan. This guideline has recently been loosened to include properties with an in-ground pool provided that the USDA Loans isn't used to finance the portion of the property's value attributed to the pool. On April 18, 2011 FHA increased the Mortgage Insurance or MI on all FHA insured loans .25% across the board. This represents the second increase since October 2010, in which the ratio used to calculate FHA monthly mortgage insurance premiums has more than doubled from .50 to 1.15. USDA Loans are available in rural areas and suburban communities with population densities of 10,000 people or less per census track. With the completion of the 2010 Census, some areas that were once considered eligible based on USDA Rural Development Guidelines, have been updated to reflect population density increases and are no longer eligible for a USDA Loan. USDA Loan Program is a fantastic no money down, 100% financed USDA loan program that is ideal for certain homes and certain buyer(s). Trying to determine the areas and buyers that are eligible for the USDA Loan Program is a constant source of confusion for less experienced Realtors, Lenders, and homebuyers. Why USDA Rural Loans Are Slowly Getting More Popular? As the only no money down loan program available in the United States that is not restricted to just current or former military service personal it is hard to understand why the USDA Rural Development Loan Programs haven't become the lead loan program throughout rural America. To understand the relatively slow rate of adoption of the USDA Program one must first understand the motivations and requirements of the parties to the transaction. The USDA Loan Program is by far the most credit score friendly loan program currently available. 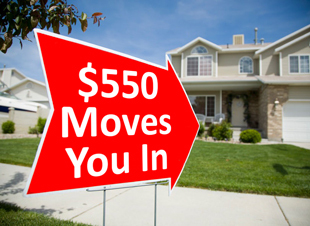 While USDA is willing to work with scores lower than 640 most lenders won't. Thus, pragmatically the minimum credit score required by USDA is 640.